Any marriage-related issue that intending couples refuse to deal with before marriage would wait for them after marriage. Here are some of the issues experts believe people need to talk about with their partners before they tie the knot. Previous scientific studies have shown that when people fall in love, it is akin to being ‘high’ on certain drugs, because meeting someone special activates the same brain cells as when one takes cocaine and other such substances. This good feeling, sometimes, makes people rush into marriage, especially if one of the couple had been under pressure to get married. But it has often been said that good communication and openness, among other factors, are essential ingredients of a happy marriage, which explains why marriage counsellors and psychologists always advise that intending couples need to discuss certain things before marriage. And this goes beyond the questions new acquaintances ask themselves. The experts maintain that any marriage-related issue that intending couples refuse to deal with before marriage would wait for them after marriage. 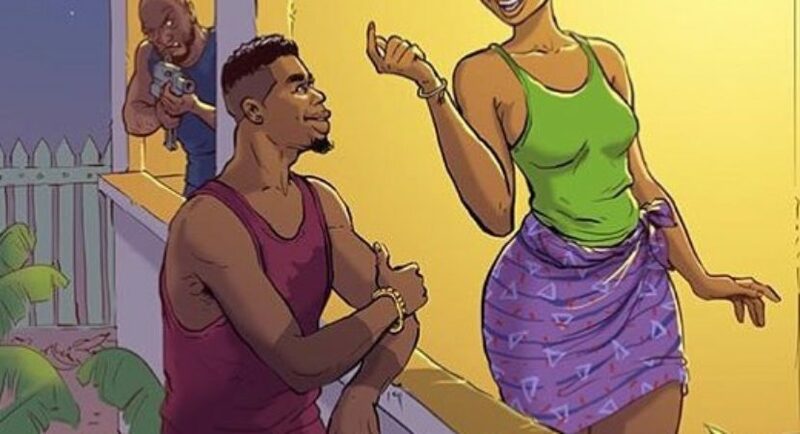 According to Bonior, one of the things that can readily cause friction in the home is how bills would be shared, and this ranges from house rent, money for food items, children’s school fees, money for parents’ upkeep, money for domestic needs, etc. While some believe a man should be responsible for paying all the bills in the house, as the head of the family, some believe the wife should also take up some bills as long as she has the capacity and some others believe the person with the higher income should volunteer to do more. If this is not sorted out, experts say it is a potential cause of conflict. “The more you talk about it, and the more honest you are with yourselves and each other about what you bring to the table in terms of your money attitudes and how they will be resolved, the better foundation you build in your marriage,” she added. Not all persons can cope with a partner that is given to drugs, or alcohol, especially if they don’t take. Thus, it is important for couples to discuss beforehand if they can bear the partner’s appetite for such substances, so as to avoid conflict, more so that these substances are addictive. And for social media, whereby some prefer to post every picture they take on the social media, while some rarely do, citing privacy as their reason. Perhaps this is important because a partner who posts everything personal on the social media would likely post pictures of their children, which might not go down well with the other partner. In the African setting and in some other climes, in-laws are almost an integral part of the home. Thus, people are always advised to speak out on whatever reservations they have about their partners’ family before they tie the knot, else it might pose problem to the marriage, because it may not fade out. The solution might be for the two families to talk about the issues. In the past, this was hardly an issue of discourse, as women were traditionally expected to do most of the chores at home, but things have changed. Thus, intending couples are advised to deliberate on how to share the chores at home so as to avoid incessant quarrels and expectations that may never be met. Bonior said, “Unfortunately, even couples who have a comfortable division of responsibility pre-marriage can often be thrown into resentful conflicts once circumstances change: the addition of a baby, a change in a partner’s job or commute, or a bigger house with new types of maintenance needed.” Thus, there is need to talk about this issue. ingle with persons of the opposite se x. Thus, people are often advised to agree on what they would not be able to bear, such as taking out a colleague of the opposite s ex for lunch. Bonior added, “Every couple must define for themselves what they are or are not comfortable with. And the more you pretend that it will all magically work out even when there are differences, the more you set yourself up for feeling betrayed. No doubt, religious teachings advise that people should shun premarital s ex, but one question intending couples could ask each other, without having slept together, is if the other person likes s ex and how often they would wish to have it when married. This would help to balance each other’s expectations and help them to know what to expect. Written by:Tunde Ajaja for PUNCH.